Servando: This is a guest post by AdSpyglass. I decided to publish this very interesting post because AdSpyGlass is a tool that helps you increase your ad networks revenue by letting you mix up many ad networks in your blog and get the best results based on many factors while doing all the split tests automatically. Since many people here come looking for networks to monetize their blogs (not Adsense) I figured this would be a very useful post. Considered something of a new phrase, ad mediation is the practice helping publishers earn maximum income from their websites. The process sees a middleman – otherwise known as the ad mediation platform – acting as an intermediary between a publisher and the networks they use to serve ad space. It is possible for publishers to cancel out the mediator and explore the networks for themselves, although this does come with some big disadvantages. For one, the exercise of trawling through a number of ad networks to find the best prices can be tiring. There’s also the fact that signing up to multiple networks will not automatically boost someone’s earnings, due to the ways in which some of the more traditional platforms work. With this in mind, ad mediation solutions are very much a part of why this phrase has entered the public eye. These tools combine all the information from top ad networks on details like region and connection types in real time. This is then centralized, helping webmasters identify the networks that are paying the most for their traffic. Ad mediation is hugely important in today’s market. The previous era of ad serving represented something out of the wild west; everything was done manually and prices on ad space would shift within the blink of an eye. There was a demand for more clarity over the entire process and ad mediation answered the call. Essentially, mediation is a way of handing publishers a greater sense of control over how and to whom their inventory is sold. Through advertising mediation, publishers are able to view which networks are the best for their business and create their own ad marketplace. The end result is a boost in revenue and a greater sense of relevancy for audiences around the world. In the traditional ‘waterfall’ method of serving ads, a publisher will send out a request to an ad network to find an advertiser. This will be a group which has been deemed the most important based on historical factors. All of the advertiser’s ads will be sold until there isn’t any left, after which the next advertiser will step forward. The waterfall method can choose advertisers based on who pays the highest rates. Someone may bid $0.20 on a CPM for a 300×200 banner, which would use a bid of $0.05 for the same placement. This is a reliable system, but the ordering of priority does not guarantee this, and can even ignore other factors. Conversely, ad network mediation allows the publisher to select the best place for their ad spots based on a range of factors by using a ‘weighted’ system. There’s always the chance to select the highest-paying advertiser, but they could also go on the geo of the advertiser, or similar. Once an ad has been sold, they can focus on the best network for the next one. 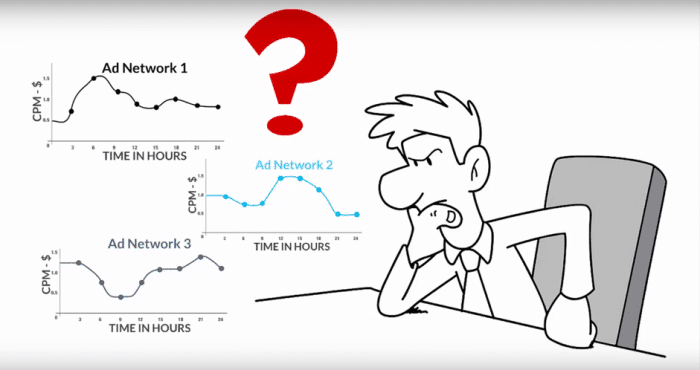 This fairer and more analytical method of selling ads can lead to some huge boosts in profit. In addition, ad mediation services tend to offer a larger database of advertisers and networks, which can lead to higher bids. A common problem for webmasters is the monetization of their websites. Rates of their favorite ad networks may fall down and they can spend hours searching for alternatives. Every network has both pros and cons, but AdSpyglass can help publishers gain the benefits from each one. 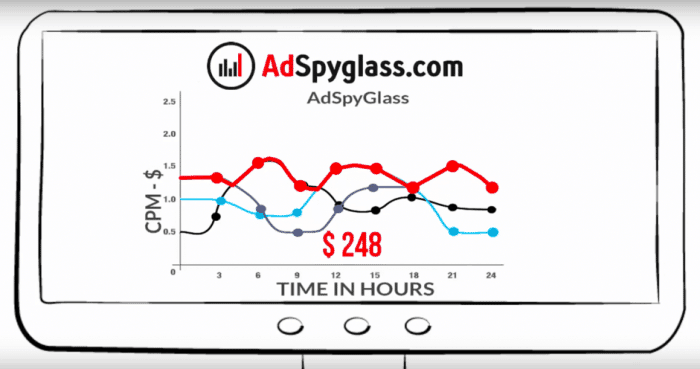 AdSpyglass is an ad mediation service that allows webmasters to work with a range of the best ad networks by continuously monitoring their CPM rates and automatically assigning ad space to the highest bidders. By this we can see that Ad Network No.2 has the highest CPM and will be allocated an ad spot on your website. 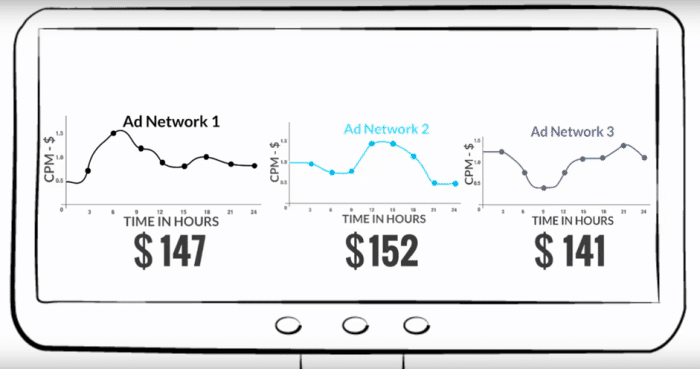 After the next CPM check, the situation could have changed; maybe Ad Network No.1’s CPM is $1.30. AdSpyglass will then allocate your spot to Ad Network No.1 and so on. All these processes happen on a fly, giving you an easy way of maximizing your revenue. An income boost of up to 100%. The management of all ads (network ads and own ads) directly via an admin panel, saving time and helping avoid errors while adding website templates. Detailed statistics in AdSpyglass reports, allowing for the optimization of campaigns from all networks in one admin panel. 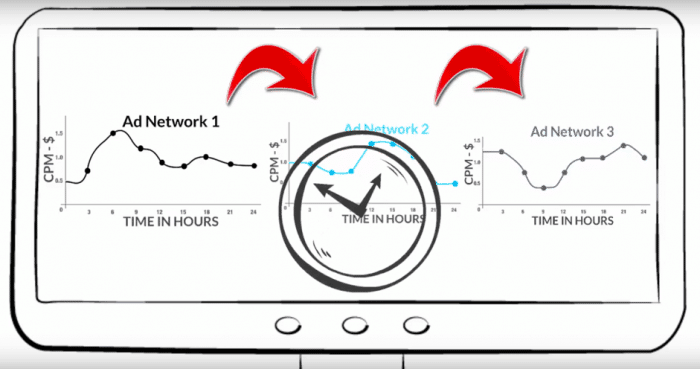 Each ad network tries to maximize the numbers of offers given to its publishers. We can compare this process to a real-life situation by picturing the ad network as an internet shop where you can buy lots of things. Maybe you can find something very profitable, but you can’t buy everything. Some positions may also be very expensive, and it could take several hours to find the shops which have what you need and compare the prices. If you use large aggregators like Amazon or eBay, EVERY client can find what he needs, as well the best price in matter of minutes. Mediation services like AdSpyglass – they are the Amazons and eBay of the ad world. 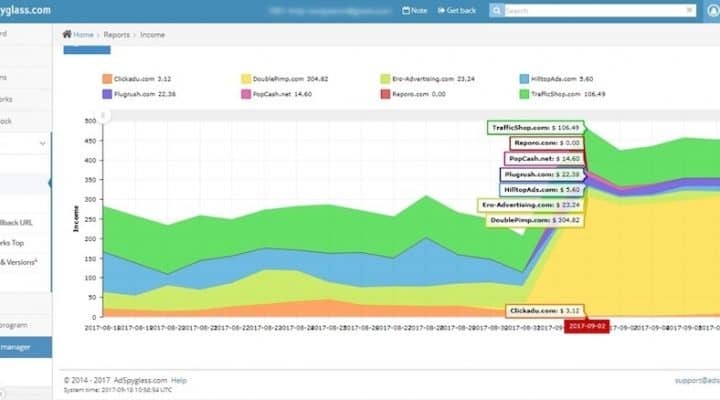 Another great example of this is Ezoic’s Adsense tester, which does a similar optimization for networks like Google Adsense, Media.net and more. 100% more in ad traffic sure caught my attention. You put out another great piece of content Servando. Thanks! And bro seriously, your writing skill was mind blowing. I’ve read some other posts on your blog also I subscribed your blog’s newsletter. Hey i m here again. I have created a site and planning to test this today. Will share you the results soon. I’m sorry, I don’t understand any of this lol. Is this for a person with a website who has space on their site that they’d like to offer to potential advertisers to buy that space, based on how much traffic comes to their site? Do you have to monitor the app and agree which agent can go ahead and sell the space? Who pays who? Does the advertiser pay the agent and the agent less his comms pay the website owner? How long would an ad run for? Is the price like an auction, hit the button and the price is fixed or miss it and you could be in freefall, hoping another advertiser on the right system comes along when the price is back to being high? This is for a person who has a website and wants to split test many networks to see which ones make more money without doing it manually. the space is sold automatically as networks have thousands of advertisers so you just monitor which ad networks works better. The price are auctions in real life, yes, and the ads would run at least for a few days between networks so the program decides which one pays better during different times and days of the week. high quality content and that your site is easy to find, which in turn will send more traffic your way. I must say that your blogs are my all time favourite. Try to share more blog with us. I published this comment. It’s true and I appreciate the feedback. Initially I did a lot of how to guides and experiments. Now I’m quite busy with other projects and I also accept a lot of guest posts when I think they’re good for my audience. I might change this for next year though. Just checked you email and bumped to this. Let me check adspyglass, seems worth the time. Need to get more traffic and apply with other ad networks than what I am using. Recently came across your blog and i found all your articles are just mind blowing. Keep up the good work.